Last December, I posted an article in which I highlighted a group of younger players the Stars have previously drafted and are protected on their affiliate list. This is the second update leading up to the Stars' next tryout camp in June of 2012. Before that camp in June, the Stars will take part in the USHL Futures Draft which is going to be held on May 1st, 2012. Also that month, the Stars will draft even more players in the USHL Entry Draft which will be held on May 22nd, 2012. Although some of these names might not be familiar to most fans, some of the players listed here will most likely be playing for Lincoln sometime in the next season or two. So get familiar with them, because you will see them soon at the IceBox. In fact, some of the players below have already worn a Stars uniform, or currently wear a Stars uniform.. If you have additional information about any of the players listed below that you would like me to add to the article, or if I have posted inaccurate info, please send me an email at lincolnstarshockey@gmail.com. This is kind of a long article, so make sure you click the "Read more" link below to check it out. 2011-12 season stats: Max just finished up his junior season with the Minnetonka (MN) Skippers high school hockey team. Coatta was the third leading scorer for the Skippers with 48 points (23g, 25a) in 28 games played. Click here to view his stats from the 2010-11 season. Current Stars forward Tommy Schutt was a teammate of Coatta's last year at Minnetonka HS. Stars affiliate player Vinni Lettieri, who recently re-joined the Stars, was a junior forward on the Minnetonka team as well. Coatta participated in the Stars' tryout camp this past June in Minneapolis and was named to one of the two camp all-star games. Max's older brother Sam Coatta played two seasons for the USHL's Sioux Falls Stampede from 2009-11. There is a good chance that both Coatta and Lettieri will be in Lincoln full-time next season. 2011-12 season stats: Trevor is playing for Victory Honda U-18 (MM) of the Tier 1 Elite Hockey League for the second straight season. The native of Commerce, Michigan scored 46 points (18g, 28a) along with 111 PIM's in 36 games played for Victory Honda. In seven playoff games with Victory Honda U-18, Cope has scored 9 points (3g, 6a). Trevor was a 2011 draft pick of the NAHL Corpus Christi IceRays, and played three games with them back in late January. I assume that the IceRays have protected Cope, so if he doesn't make the Stars next season he'll play in the NAHL. Cope participated in the Stars' tryout camp this past June where he was selected to one of the two camp all-star games. 2011-12 season stats: Max just finished his first season with the U-16 Honeybaked Hockey Club where he scored 31 points (12g, 19a) in 29 games played. The native of Livonia, Michigan played last season for the Stevenson High School (MI) hockey team. Click here to view his stats with Victory Honda from 2008-09. Humitz participated in the Stars' tryout camp in Minneapolis this past June where he was selected to one of the two camp all-star games. 2011-12 season stats: Vinni just finished up his junior on the Minnetonka Skippers High School hockey team where he was his team's leading scorer with 60 points (23g, 37a) in 28 games played. Click here to view his 2010-11 stats with Minnetonka. After his high school season ended, Lettieri joined the Stars and will remain with the team for the rest of this season, including the playoffs. Click here to view his USHL stats with the Lincoln Stars. Lettieri has already committed to play hockey for the University of Minnesota. Most scouts consider Lettieri to be one of the top forwards from the state of Minnesota. Vinni is a very quick, shifty, talented forward who has the skills to be a very special player. As I mentioned above, there is a very good chance Lettieri will skip his senior season at Minnetonka and play full-time with the Stars in 2012-13. Vinni participated in the Stars' tryout camp this past June where he was selected to one of the two camp all-star games. 2011-12 season stats: Sean just finished up his junior season as a forward on the Nichols Prep School (Buffalo, NY) hockey team where he was his team's leading scorer with 35 points (17g, 18a) in 15 games played. Malone just recently committed to play college hockey at Harvard University (starting in 2013 or 2014). From what I have been told, Sean received hockey offers from Cornell, Princeton, Brown, and Michigan State as well. Malone is also an all-state soccer player for Nichols Prep School. It is still unknown if Sean will finish his senior season at Nichols next season, or report to Lincoln to play with the Stars. Malone participated in the Stars' tryout camp this past June in Minneapolis where he was selected to both camp all-star games. 2011-12 season stats: Muto is a first-year defenseman on the Cowichan Capitals (BCHL) hockey club where he has scored 19 points (6g, 13a) to go along with 52 PIM's in 57 games played. Two of his six goals scored this season have been game-winners. Last season, Muto played for the Trinity-Pawling Prep School hockey team in Pawling, NY. Vinny is originally from Buffalo, NY. Click here to read an article about Muto after he was drafted by the Stars last year. Vinny participated in the Stars' tryout camp this past June where he was selected to one of the two camp all-star games. 2011-12 stats: Derek, who is a native of Canton, Michigan, is a first-year defenseman on the Michigan Warriors (NAHL) hockey team. In 40 games for the Warriors this season, O'Flynn has scored 11 points (all assists) along with 37 PIM's. According to this article, O'Flynn is attracting the attention of some NHL scouts. From the NHL.com website, O'Flynn is mentioned as a "Player to Watch" for the 2012 NHL draft. Derek participated in the Stars' tryout camp this past June where he was selected to one of the two camp all-star games. 2011-12 stats: David, who is originally from Rochester, Michigan, is in his first season with the U-18 Honeybaked Hockey Club. In 26 regular season games for Honeybaked, Parrottino scored 21 points (8g, 13a) along with 22 penalty minutes. In three playoff games, Parrottino scored 5 points (3g, 2a). Click here to view his stats from 2010-11. Parrottino was the first player born in '94 that the Stars selected in the 2011 entry draft. David participated in the Stars' tryout camp this past June where he was selected to one of the two camp all-star games. 2011-12 stats: Pomeroy is in his first season playing for the Culver Academy Prep hockey team where he has accumulated 8 points (1g, 7a) in forty games played. The native of Glenview, Il played last season for the Chicago Young Americans U-16 team where he racked up 6 points and 27 penalty minutes in 33 games played. Click here to see his 2010-11 stats. I found very little information about Pomeroy online, unfortunately. Pomeroy did not participate in the Stars' tryout camp this past June. 2011-12 stats: Parker just completed his junior season with the Edina (MN) Hornets High School hockey team where he has scored 16 points (2g, 14a) to go with 28 PIM's in 30 regular season games played. In three playoff games, Reno scored 6 points (all assists). Like Vinni Lettieri, Reno is a player that a lot of scouts are looking at and he is considered one of the top defenseman in the state as a junior. Reno spent most of his sophomore season out of the lineup due to a knee injury, be he has since fully recovered. I have been told that Reno will return to Edina next season to play his senior season for the Hornets. Parker participated in the Stars' tryout camp this past June where he was selected to one of the two camp all-star games. 2011-12 stats: Schoenborn is a first-year forward on the U-16 Omaha (NE) AAA hockey club where he is his team's second leading scorer with 34 points (10g, 24a) in 17 games played. Alex has also racked up a total of 47 PIM's in those seventeen games. Last season, as a freshman on the Minot (ND) Magicians high school team, Alex scored 45 points in 27 games played and was his team's leading scorer. Schoenborn has been called up by the Stars twice this season, and has played a total of three games for Lincoln (two games in November and one game in December). Much like Lettieri and Reno, Schoenborn is a kid that has generated the interest of a lot of college hockey programs. He has size and skill, which is a dangerous combination. Schoenborn participated in the Stars' tryout camp this past June where he was selected to both camp all-star games. Edit: Schoenborn has recently committed to play major junior hockey for the Portland Winterhawks of the Western Hockey League (WHL). Click here to read more. Schoenborn will forfeit his NCAA hockey eligibility when he suits up for the Winterhawks. 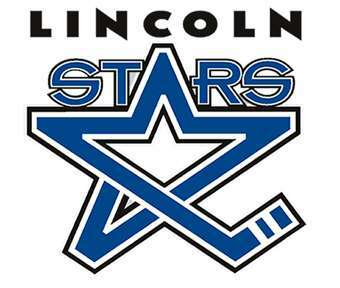 Due to his decision to go major juniors, he will not be coming back to Lincoln to play for the Stars any time soon. Big loss for the Stars, and a waste of a first round draft pick. 2011-12 stats: Woods, who is originally from Fairbanks, Alaska, is currently a first-year defenseman for the Fairbanks Ice Dogs (NAHL) team. Through 47 games this season for the Ice Dogs, Woods has scored 11 points (2g, 9a) to go along with 69 PIM's, and is +17. Woods recently committed to play collegiate hockey for his hometown University of Alaska-Fairbanks Nannooks. Click here to read more about that. Before playing for Fairbanks in the NAHL, Woods played for U-18 California Titans hockey club where he scored 17 points (8g, 9a) and added 47 PIM's. Click here to view a short YouTube video of Woods produced by the USHL before he was drafted by the Stars. Justin participated in the Stars' tryout camp this past June where he was selected to one of the two camp all-star games. Well, that's about it. More than you probably ever wanted to know about the players on the Stars' affiliate list. I'll post another prospect watch article when we get closer to the June tryout camp.